Everyone likes to enjoy an afternoon snack, but having a healthy one can sometimes be challenging. Whether hanger hits you around 3 PM at your desk or taming hungry tummies after school, having healthy snack options already prepared is a great way to keep everyone eating healthy. 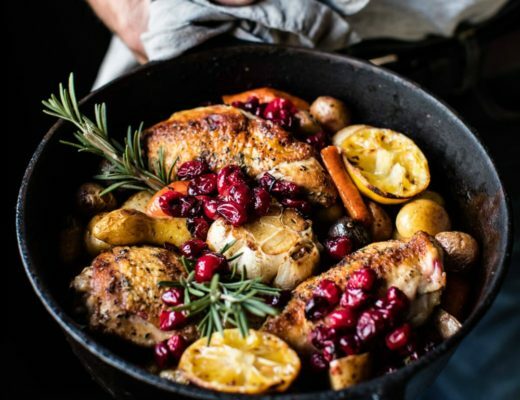 For a sweet bite or savory crunch, here are some great healthy afternoon snack ideas that are easy to put together and delicious enough for everyone enjoy! 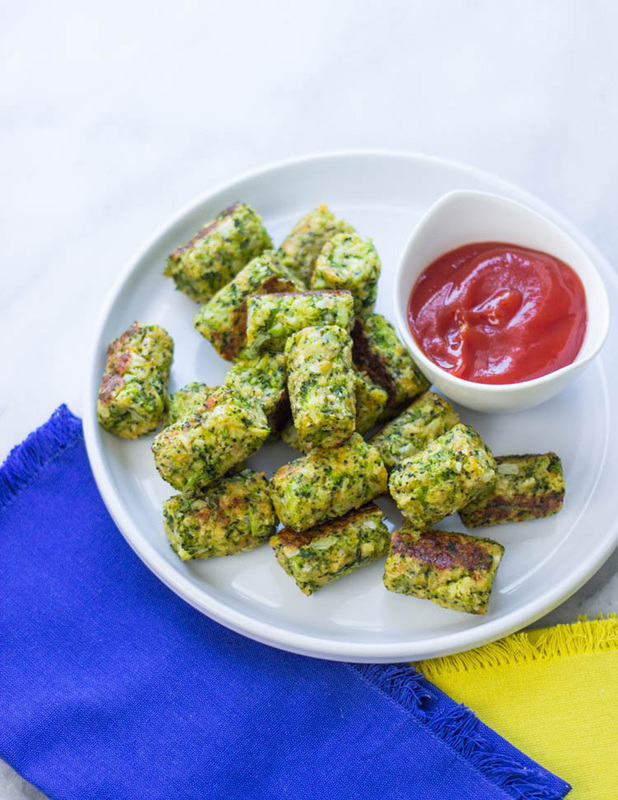 These creative zucchini sticks from Jo of Jo Cooks are the perfect afternoon snack for your kids. 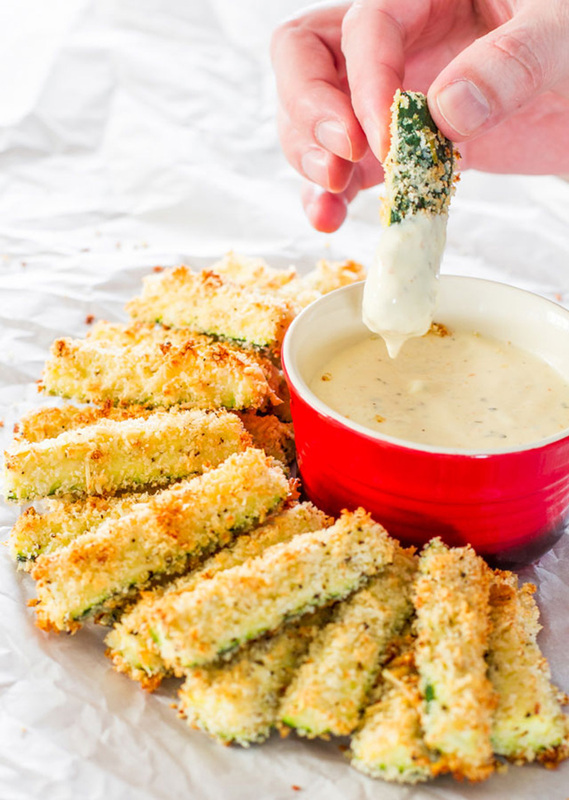 Sneaking in some veggies while getting that lovable cheesy, crunchy bite- your kids will forget they are eating zucchini! These are low calorie and come together in 30 minutes! Nothing is like having a good snack of chips and dip. 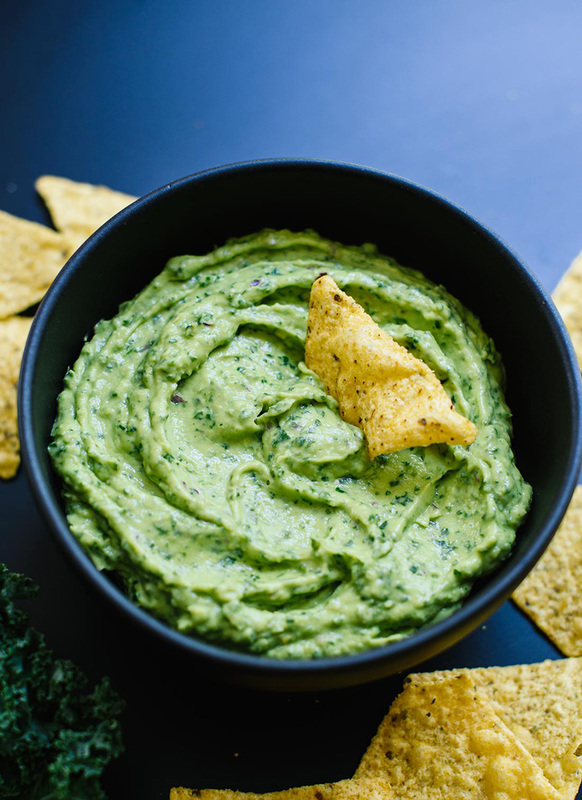 Kate from Cookie and Kate gives a superfood spin to the beloved guacamole. With the addition of kale, the guacamole comes together in minutes by using a food processor. Enjoy this dip with chips or fresh cut vegetables. Do your kids love fruit gummies but you don’t love all the processed ingredients? 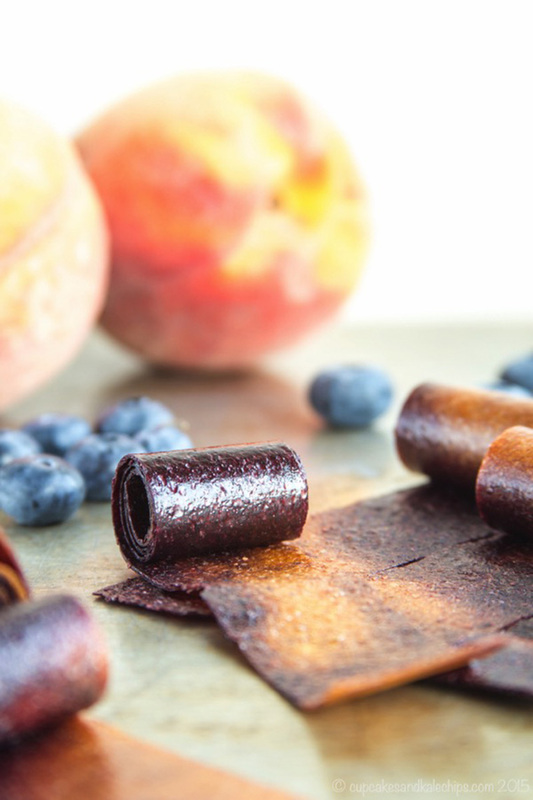 Try these homemade blueberry peach fruit roll-ups from Brianne of Cupcakes and Kale Chips. With no added sugar, you can feel great about eating these or giving them to your kids and knowing there won’t be a sugar crash! Brownies with under 10 ingredients, no processor foods or refined sugar- these brownies from Davida of The Healthy Maven are a must-make for any chocolate lover! 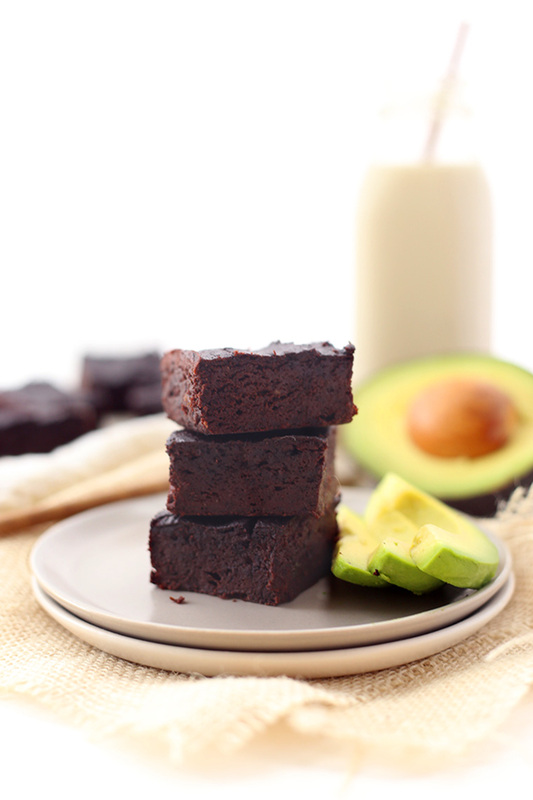 Getting their fudge-like texture from applesauce and avocado, you won’t be missing your beloved boxed brownies! Layla from Gimme Delicious Food has created a spin on the popular recipe of cauliflower tots. Instead she uses finely chopped broccoli with panko breadcrumbs to make her broccoli tots. Her bites are baked off to get that loved crunchy without the use of frying oil! Try these delicious bites to get in your extra serving of vegetables! 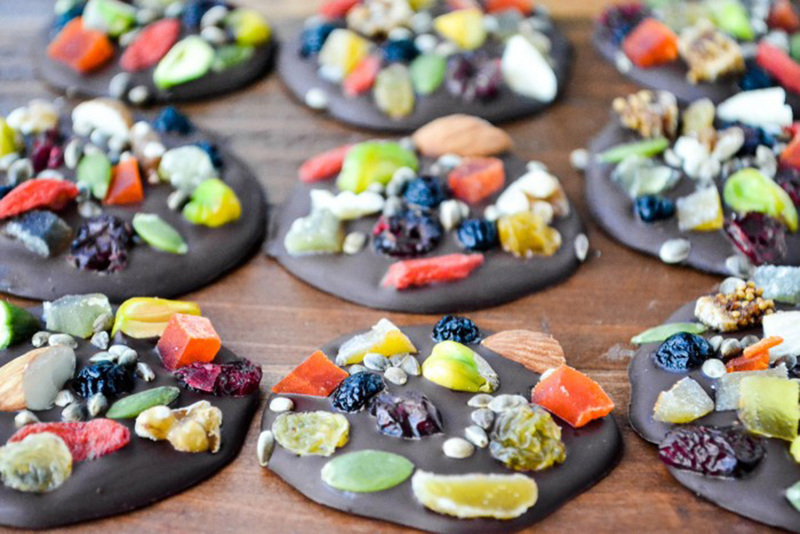 A chocolate bite decorated with superfood, nuts, seeds, and dried fruit. 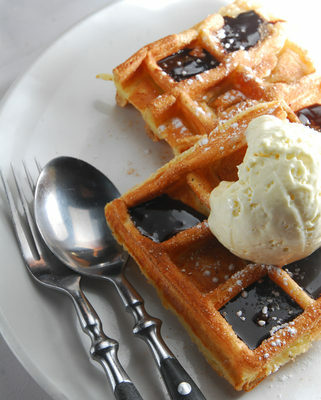 These are the perfect afternoon bite. Sue from The View From Great Island made these perfectly portioned dark bites that make you feel like you are indulging but, without all the guilt. A snack with healthy fats and antioxidants, these are a must make for that afternoon snack. Brenda from Sugar Free Mom loves to share family friendly recipes that don’t use any added sugars. 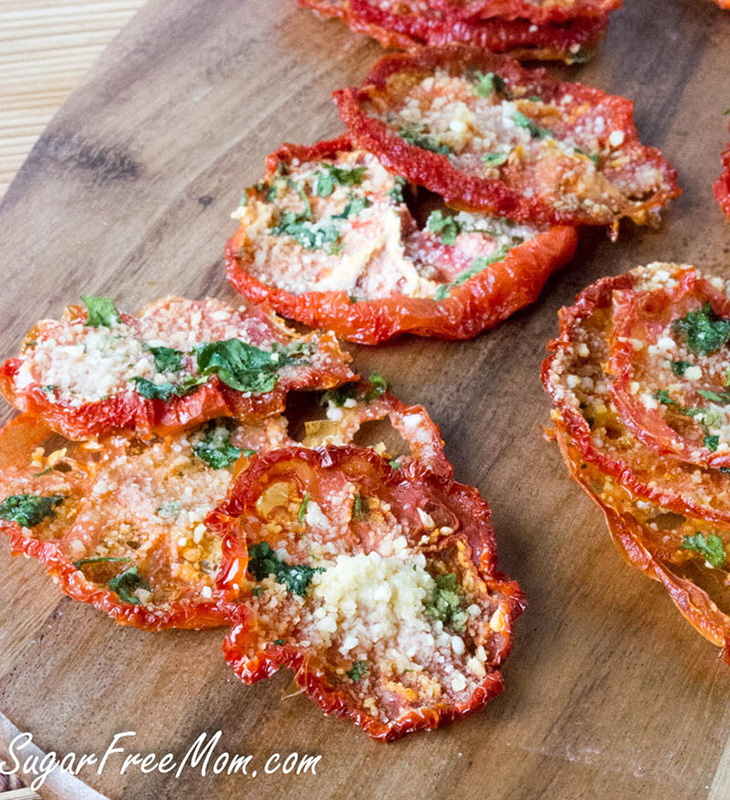 Her parmesan tomato crisps are the perfect afternoon snack that get some extra veggies in and are a great alternative to a processed high-sugar snack. With a crunchy and cheese filled bite, you won’t be missing that bag of chips! Love dipping veggies in hummus? 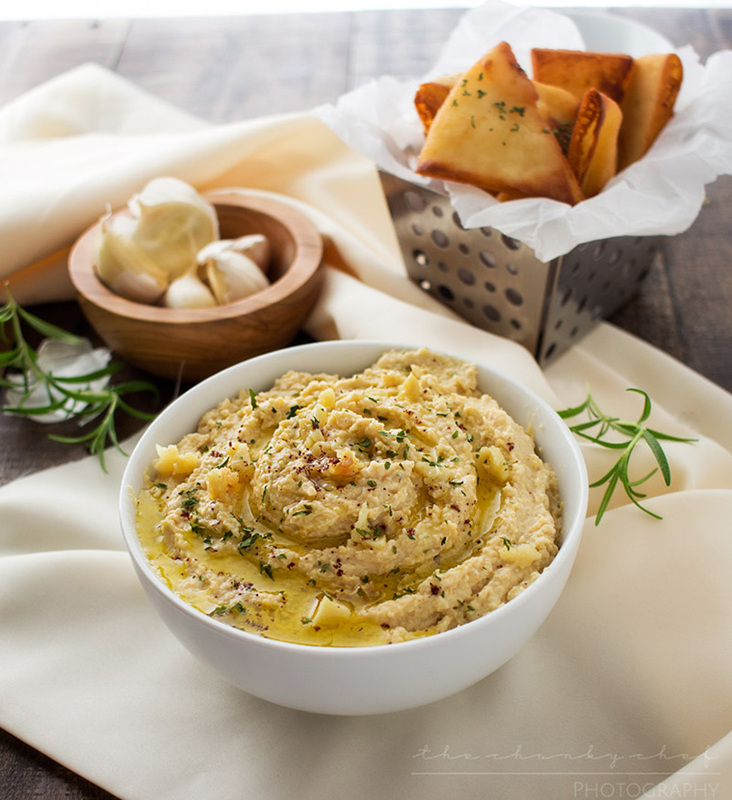 Amanda from The Chunky Chef shares her recipe for an easy roasted garlic hummus that is perfect for snacking! Made with real ingredients, this hummus is a great idea to serve with freshly cut vegetables, slathered on a piece of toast, or to have with homemade pita chips. 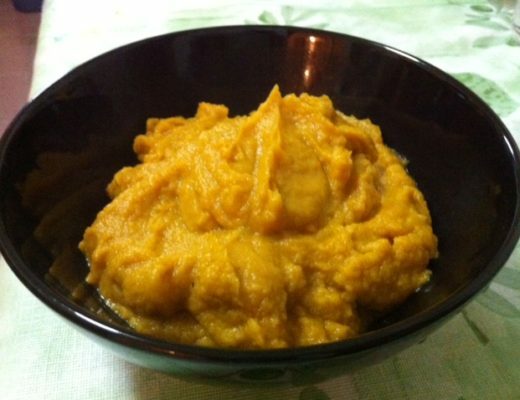 Hummus is a great protein packed snack- get those chickpeas out and make this recipe! What are your favorite recipes for healthy afternoon snacks?